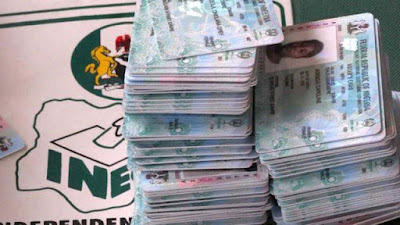 With less than 200 days to the February 2019 general elections, stakeholders have expressed worries over the Independent National Electoral Commission (INEC)’s deadline of August 17 to end the Continuous Voters Registration (CVR) exercise. They told The Guardian that if INEC does not reverse the deadline, over 17 million unregistered Nigerian voters stand the risk of not exercising their civic responsibility in next year’s elections. In a statement in Abuja recently, National Commissioner and Chairman, Information and Voter Education Committee, Solomon Soyebi, said it would suspend the ongoing CVR on August 17, 2018 until after the 2019 elections. The CVR is to afford all eligible Nigerians who have attained 18 years and above, but have not registered for their Permanent Voter Cards (PVCs) an opportunity to do so. Speaking, a presidential aspirant, Ojajuni Eniola Joseph, noted that the decision was undemocratic and targeted at disenfranchising Nigerians who are unaware of the deadline. While urging INEC to extend the exercise to October ending, he charged the Federal Government to declare a two-day public holiday to ensure that all workers were duly registered. “Over 17 million youths across the country have found it difficult to register in the past three months and the truth is that the exercise has not been properly organised. “You can imagine somebody who lives in Imota has to go as far as Ikorodu and in spite of the financial implications, they are unable to register after queuing for almost 12 hours. My advice to INEC is to extend the voters registration across the country because money has been budgeted for the exercise,” he stated. Executive Director, Centre for Anti-Corruption and Open Leadership (CAPOL), Debo Adeniran, said the decision portrayed inefficiency and incompetence on INEC’s part to conduct a credible election in 2019. National Coordinator, Youth Take Over, Gabriel Ashibi, who described the decision as ‘unacceptable,’ urged Nigerians to speak out against the decision to avert another democratic disaster in 2019. “Sincerely, a lot of people will be disenfranchised. Awareness is not enough and yet they want to end it soon without ascertaining its consequences. I have carried out a survey and I think a lot of Nigerians won’t be able to participate because of lack of PVCs. “The only way forward is for INEC to undertake a rigorous campaign to enlighten unregistered Nigerians on locations to register, pick up their PVCs and allow more time for registration,” he said.